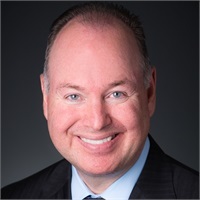 Alan F. Skrainka is the Chief Investment Officer at Cornerstone Wealth Management. He is responsible for managing the Cornerstone Model Wealth Portfolios and is Chairman of the Investment Policy Committee. Because he has over 30 years of experience in the investment industry, Alan has been a frequent source for national financial networks and publications, and was even one of a handful of economists that was invited to the White House to consult with the President. In addition to his work at Cornerstone Wealth Management, Alan has taught classes in retirement planning at the University of Missouri. He became a Chartered Financial Analyst in 1986. He earned a bachelor's degree in business administration from the University of Missouri-St Louis in 1983, and earned an M.B.A from Washington University in St. Louis in 1990. Alan and his wife, Julie, have been married since 1987 and have three children, Drew, Allison and Jack. Alan enjoys traveling, golf and time with his family.